Bedrooms are spaces in a home that are often redecorated or repurposed for other uses, making neutral flooring selections essential. Whether you are designing a nursery for a baby that will need to grow as the child grows, transitioning from a spare bedroom to a home office, or choosing the project elements of a master suite, here are some great neutral flooring choices to consider. Marble has long been considered one of the most elegant of materials used in natural stone floors, often being found in lavish bathrooms and opulent entryways. It also makes a fabulous neutral flooring choice for bedrooms because of the many versatile color selections that are available. From pale palette varieties, like Thassos and Silver Dune, to warmer toned options such as Giallo Mares and Graphite, marble truly can add luxury and style to any bedroom décor while still keeping a neutral feel. The old world look and feel of natural stone makes travertine a popular material for those wanting a rustic or aged flooring choice for their bedroom. With rich, yet neutral color choices like Travertino Navona, Travertino Ivory, and Travertino Antico, travertine brings depth and color dimension to a bedroom without being too overwhelming or strong. If natural veining and definitive color variations are not really your style, then limestone may be the best flooring choice to select. Limestone, while containing some subtle patterns and color specks, is much more uniform, giving it a clean look when used as flooring. 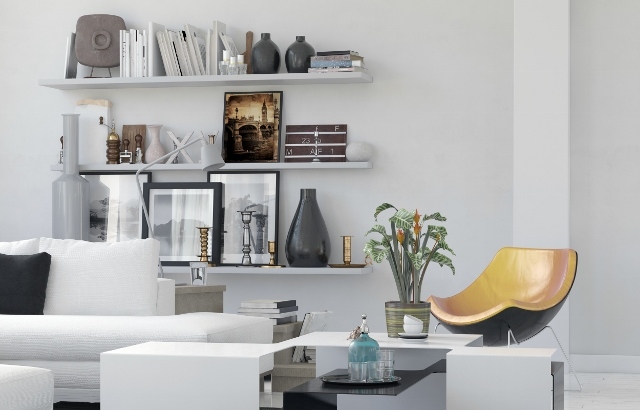 Neutral colors are typically in shades of whites and grays, with our favorite colors being St. Croix and Venetian Gray. If the word “neutral” seems just a bit too lackluster or uninspiring, but you still desire a flooring choice that is versatile and easy to blend with a variety of decors, slate may be the perfect solution. Slate features amazingly vivid hues, like the blues and browns found in California Gold, that all flow together seamlessly in natural beauty. While a bit stronger and more daring than other neutral options, slate still offers a color blend that can be easily matched when décor, style, or space needs change. Whether the goal of your bedroom is luxury and modern, traditional and cozy, or bold and colorful contemporary, natural stone flooring choices, in neutral color tones can help you achieve the look and flexibility you desire! 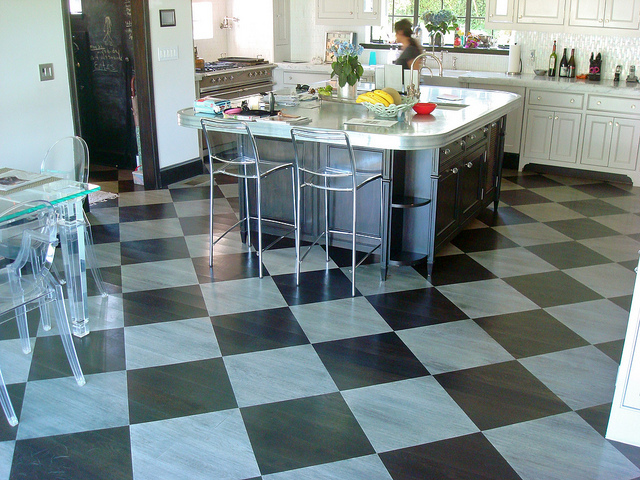 While the classic black and white checkered tile pattern has made a serious comeback in the last few years, this is just one option for a checkered floor.